BRING ANY AND ALL OFFERS! 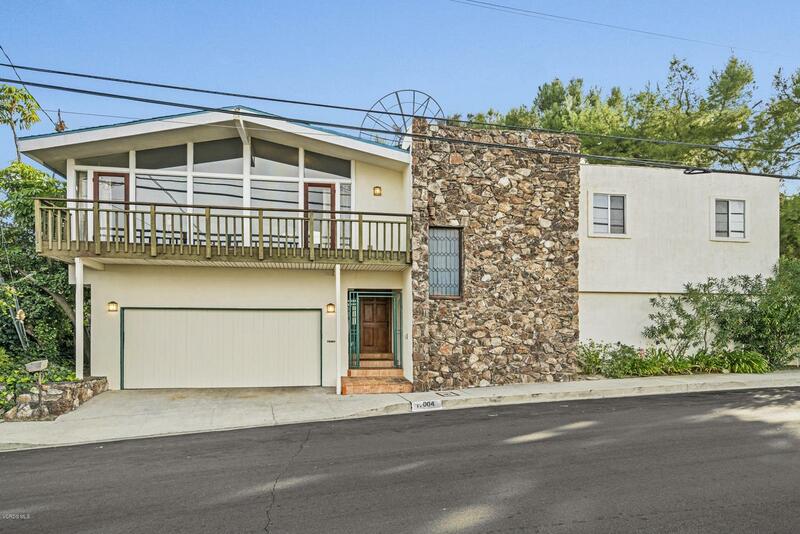 Bring your imagination to life with this 2-story, 4 bedroom, 3 bathroom, and 2,535 square foot home located South of the Boulevard in the hills of Encino! The spacious entrance leads to a kitchenette and lounging area, flanked by 2 large downstairs bedrooms and bathroom. The layout of the downstairs level provides a great guest quarters or rental space. Journeying upstairs the kitchen, dining, and living room showcase sweeping city and valley views from the front and back balconies. The oversized master bedroom and additional guest bedroom are bathed in natural light. With a generously sized 17,130 sf corner lot, the backyard beckons to entertainers with a pool, spa, and cascading ivy hill slope. Other amenities of the home include dual air conditioning units, copper plumbing, full laundry room with built-in cabinets, 2 car garage and so much more! Make this classic valley gem yours today! Sold by BRE#01036721 of Rodeo Realty. Listing provided courtesy of Stephen Christie DRE#01036721 of Christie Realty Group.